2655 Lawrence Avenue East Condos is a New Condo development designed by Scott Shields Architects located at Lawerence E and Midland, Toronto. Be the first to book your suite. For prices, plans and other details about this project, register with us! What Are The 2655 Lawrence Avenue East Condos Features? Located on the southern side of Lawrence Avenue East in the Bendale neighbourhood of Scarborough. As well as 8 two-storey townhouses. 2655 Lawrence Ave East condo has a Walk Score of 77 out of 100. This location is Very Walkable so most errands can be accomplished on foot. 2655 Lawrence Ave East Toronto condos is a nine-minute walk from the 3 LINE 3 (SCARBOROUGH) at the LAWRENCE EAST STATION – NORTHBOUND PLATFORM stop. This location is in the Bendale neighbourhood in Toronto. Nearby parks include Jack Goodlad Park, Birkdale Ravine, Thompson Memorial Park and Arsandco Park. 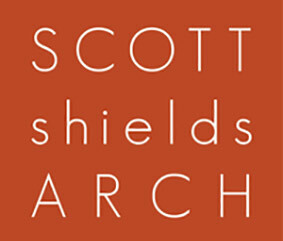 Scott Shields Architects (SSA) is a boutique award-winning planning, architecture and design firm, headquartered in Toronto and Los Angeles. Initially founded in Canada 35 years back, SSA is a client service based practice with projects across The North American Continent. Design and technical innovation, particular to the background of each and every venture location and clients requirements, is a key operating standard for the company.